In 2013, the California Domestic Workers Coalition won a historic victory with the passage of AB 241 (Ammiano), which extended overtime protections to personal attendants (such as nannies and homecare attendants), on the condition that the law would sunset after three years. 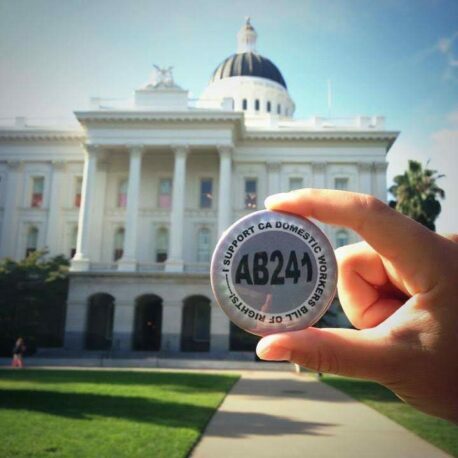 In 2016, The California Domestic Workers Coalition came back to the capitol to win legislation, SB1015 (Leyva), making the provisions of AB 241 permanent under state law. SB1015 was signed into law by Governor Brown in Sep 2016! 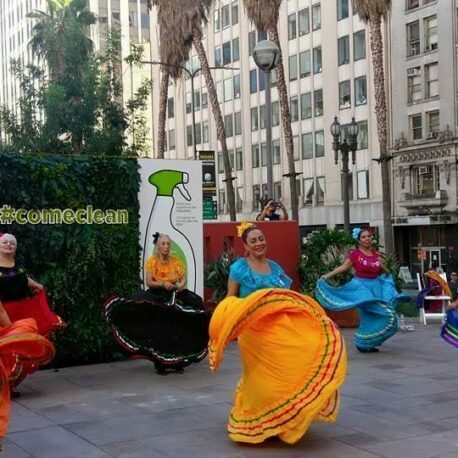 Until 2017, the companies that produce commercial products commonly used by domestic workers had not been required to disclose all of their toxic ingredients. This lack of regulation left many consumers and workers without the necessary information to protect their health and that of their families. With the leadership of our steering committee organization, IDEPSCA, which led the CDWC in a unique collaboration with environmental health and cancer prevention advocates called the #ComeClean Coalition, The California Domestic Workers Coalition won a great victory with the passage of SB 258 (Lara) the Cleaning Product Right to Know Act, which mandates that manufacturers of cleaning products must disclose the most toxic ingredients on the packaging and online description of products. This law has been a welcomed step forward for the immigrant workforce, given the current exclusion from OSHA and the lack of health and safety labor laws that protect domestic workers. In 2017, in a political moment in which working-class immigrant communities were facing heightened attacks and scapegoating across the country under the new administration, the California Domestic Worker Coalition adopted the 2017 Defending Dignity Platform to assert our rights and advance an agenda that defends the dignity and well being of our families. 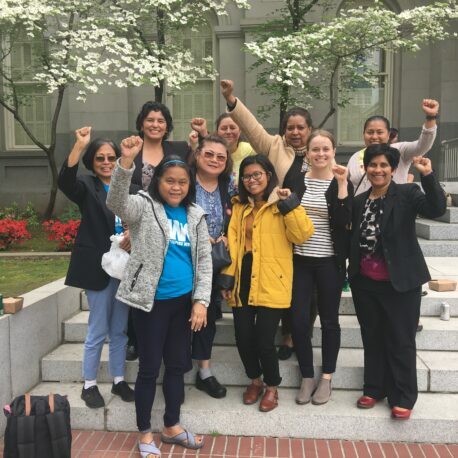 Through multiple statewide lobby days, the coalition advanced the 2017 Defending Dignity Platform, which prioritized new legislation that specifically impacted immigrant working women who represent the majority of domestic workers across the state. 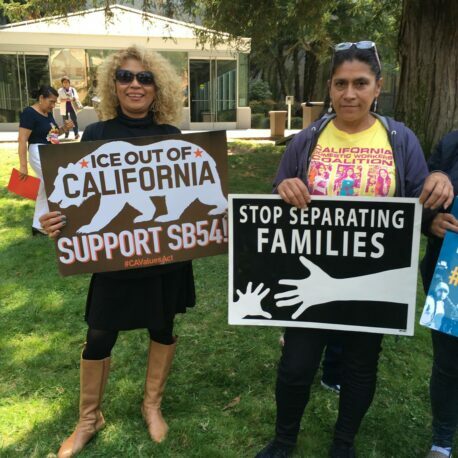 Joining together with immigrants, women, and labor rightsorganizations across the state, the Coalition celebrated the passage of SB 54 (de León), the California Values Act and AB 450 (Chiu), the Immigrant Worker Protection Act! Under SB 54, The California Values Act, would ensure that State and local law enforcement agencies, school police, and security departments do not engage with nor provide resources to support immigration enforcement processes. Furthermore, under SB54, California state agencies, public schools, health facilities, and courthouses would adopt policies that would limit assistance with immigration enforcement to the largest extent possible. Led by the California Labor Federation, AB450 (Chiu) extends protections to immigrant workers & requires that the California Labor Commissioner be notified of an ICE raid. It further allows the labor commissioner to protect workers in current claims process from immigration proceedings. The bill unifies worker & immigrant rights and could provide more security and safety at the job.¡ Si Se Puede! For three straight years, the California Domestic Workers Coalition defeated harmful legislation that would rollback the protections of domestic workers across the state. From 2016-2018, Senator Jeff Stone (R- Coachella Valley) introduced legislation that sought to create a sleep exclusion of up to eight hours from hours worked by a domestic worker who is a live-in or 24 hour shift worker. The worker would not be paid for up to 8 hours of compensable work, during which time they would not be able to leave the worksite to rest uninterrupted or to tend to their personal needs. Essentially it would roll back protections that domestic workers have had since 1976 to be paid for all hours worked. In coalition with the San Francisco Care Council and with the incredible leadership of Senior And Disability Action, CDWC lobbied and won the county-wide pilot program, Support at Home, to experiment with new models that expand the affordability of care and at the same time uphold the dignity of homecare workers. 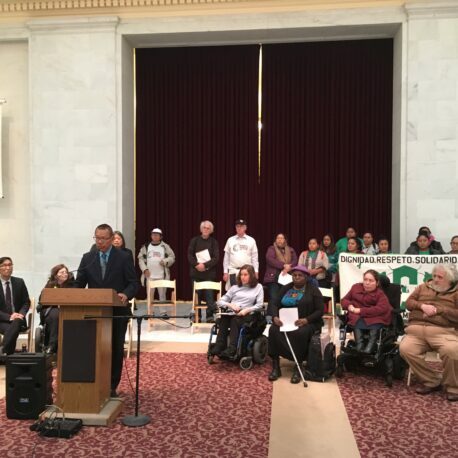 Support at Home offers financial assistance to adults with disabilities and older adults in San Francisco who need home care but can’t afford it and don’t qualify for government-funded programs. The county-wide program provides vouchers to help pay for home care services such as cooking, grocery shopping, cleaning, and bathing for eligible residents, who can make up to 100% of the area median income. The voucher program also ensures that participating caregivers are paid fairly, encouraging a shift in an industry that has been notoriously prone to exploiting the primarily immigrant workforce and violating wage and hour laws.